Portuguese Flor de sal, or “Flower of Salt,” from the southern region of Portugal, called the Algarve, is gathered by hand rakes when it floats to the surface of shallow salt-pan fields. It’s an incredible process, that produces an unbelievable kind of salt. Flor de Sal is renowned for its texture, like tiny snowflakes and it’s flavor, softer than other salts, with a hint of the sea. 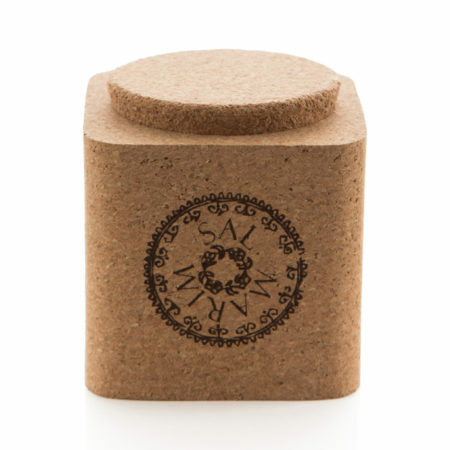 Presented in a box made entirely from cork, to display proudly on your table, is distinctively unique.